How to find your API token in Re:amaze? 1. Log into your Re:amaze account. 4. From there, copy your API token and continue your migration. 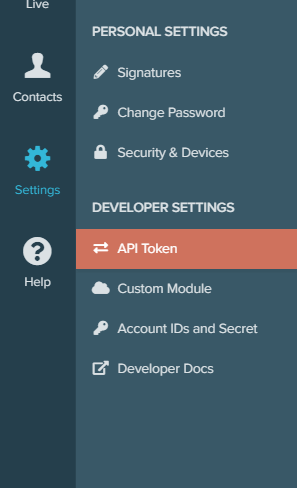 Where can I find my Kustomer API key? Where to find API Key, Secret key and Space in Assembla? What does the constant value mean? How can I migrate only closed tickets?